Beyond Blush: Stayfree Challenge Winner! 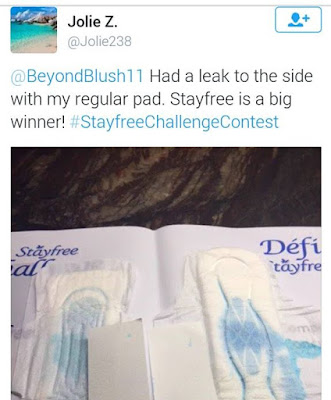 Back in March I gave my readers the chance to take the Stayfree Challenge for themselves, and the opportunity to win a $200 gift card! 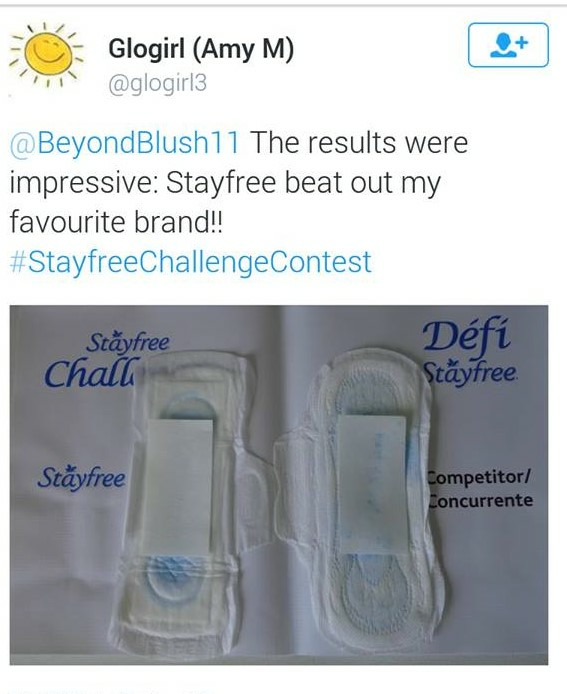 I've had loads of amazing entries, and today I thought that I would share some of my favourites with you, as well as announcing the lucky winner! And finally I have chosen a winner by random draw! 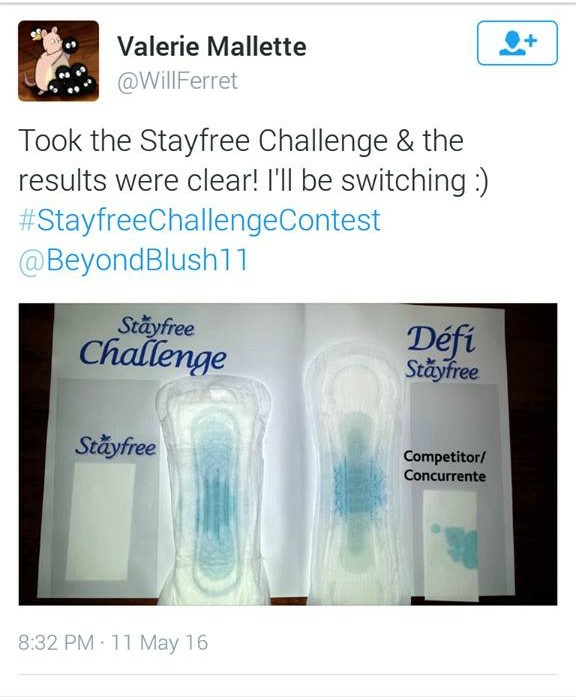 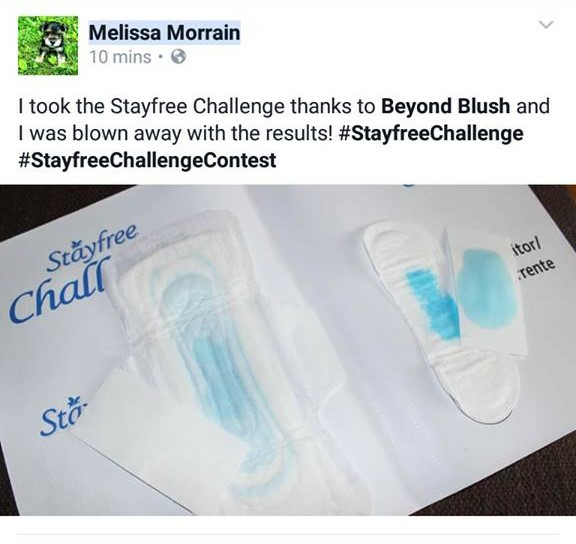 Congratulations Melissa, thanks for sharing your #StayfreeChallengeContest results! 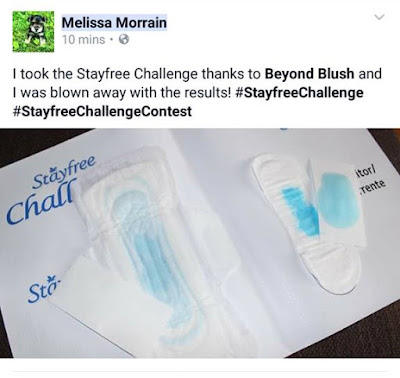 A big thank you to everyone that participated the the Stayfree Challenge, I hope you all had fun being scientists for a day!